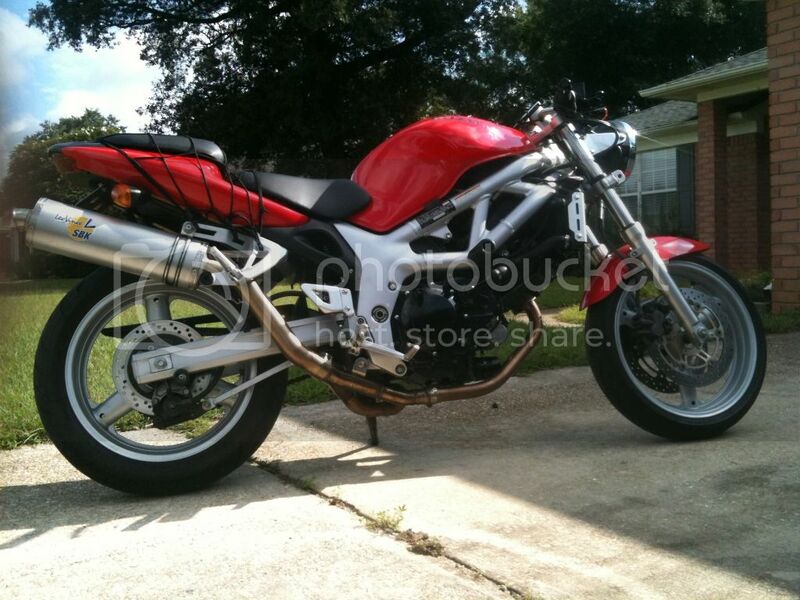 But here goes my second fighter build, and I chose the Suzuki SV650 for it's curvy tube frame and rock solid twin. So far I've just chopped the rear fender off and remounted the plate and signals, installed Motosliders, and fixed a buggy coil. 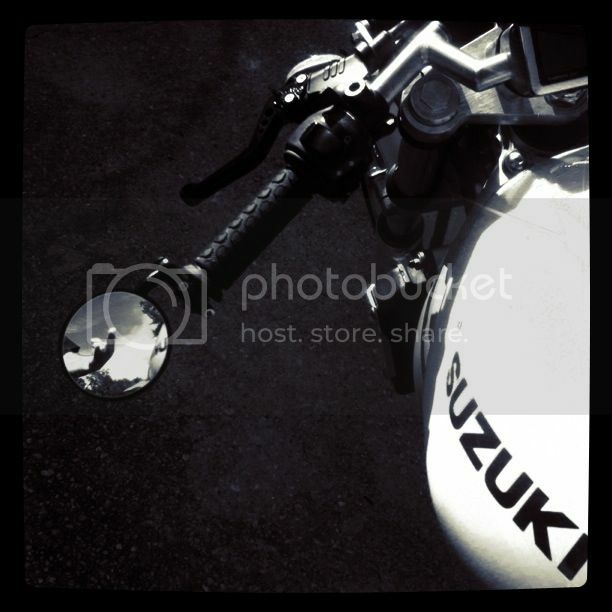 When I got the bike, the rear cylinder was not warming up very fast at all. Soldered in the connections to the coil and repaired some wire. I still feel like there is a lingering wire issue SOMEWHERE, I just know it. Huge mirrors are getting tossed, but sticking around until I figure out what I'm going to do with the bars. It has the Suburban Machinery bars, which are really nice, but I want a little higher grip and upright riding position. Some custom headlight creation, likely to be done and done over again. 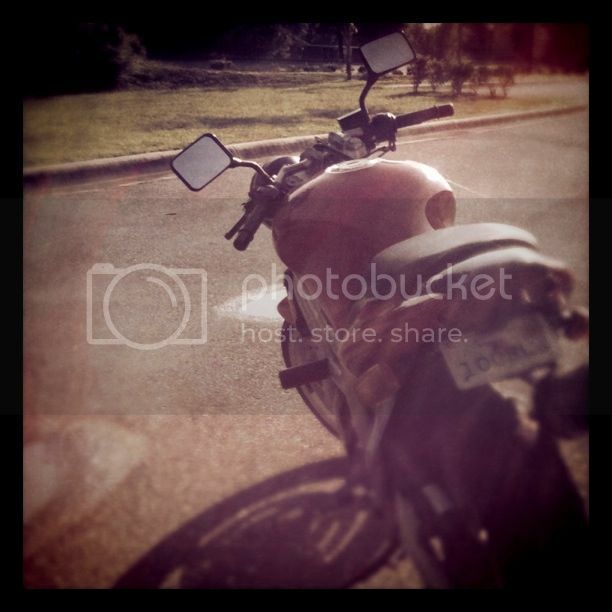 P/c frame, paint tail/ tank. etc......... im sure there will be all kinds of other ideas I'll slowly make my way through. I don't really plan to rush anything, so this build is probably gonna take a while. My main goals is to just ride the piss out of her. So anyways, got the basics done to get her one the road, took a short ride today, and I'm really happy with some low end grunt and the Leo Vince sounds mean enough to scare the kids. Me likey. These people High Fived ultimate fighter! Ride the piss outta her! These people High Fived Jheadx! So, still bidding on a rear shock. 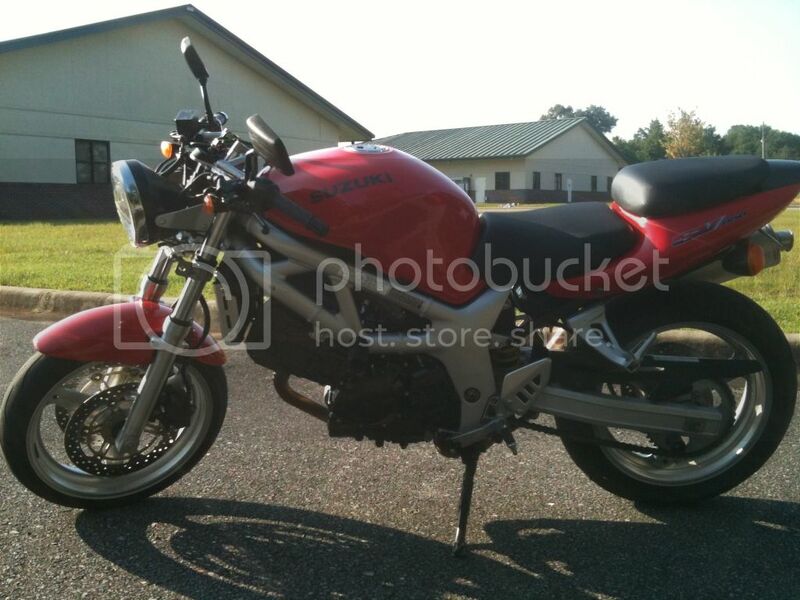 Front end is still being research, I need to find some time to hit up the local salvage yard for forks and trips. 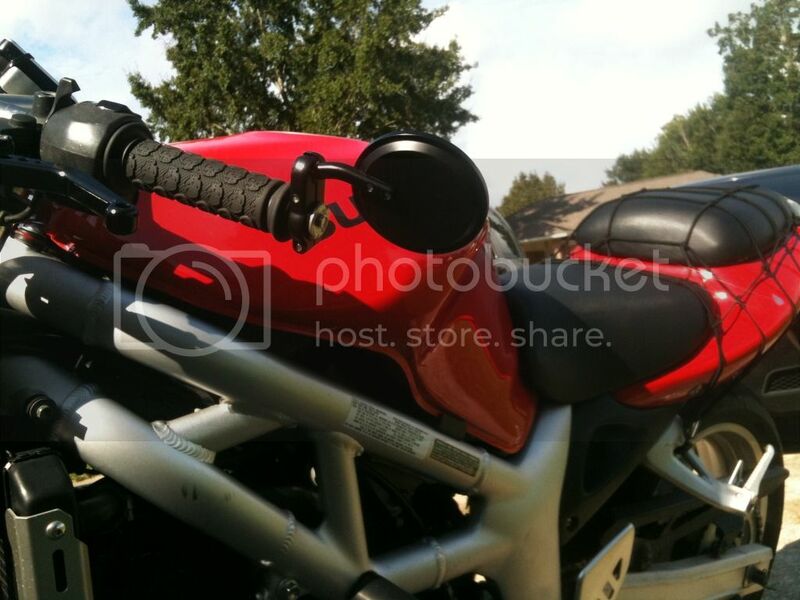 I want to find a 96-99 gsxr 750 triples to keep my steering stops. From there it's figuring out what fits. I suppose that I could lose the steering stops or weld some new ones on too. 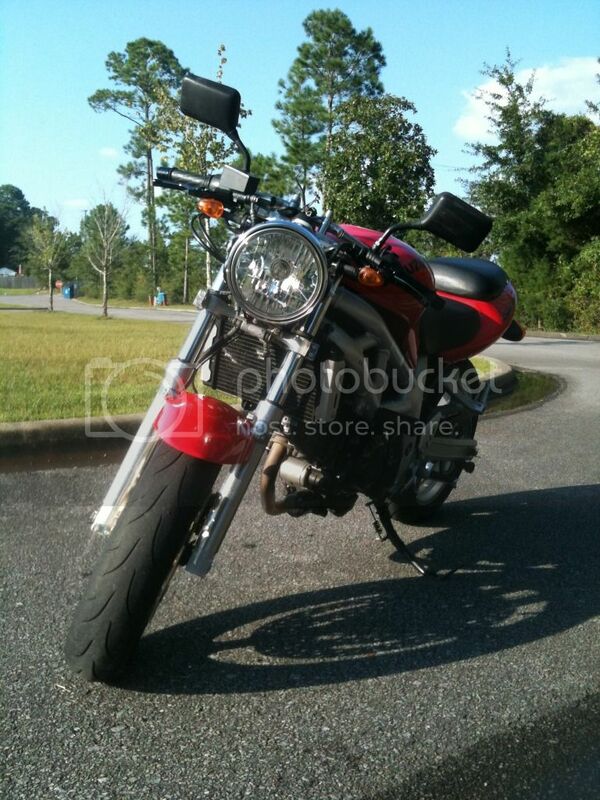 Anyways, been riding and enjoying her quite a bit lately. Took her out yesterday on a run to do a service call. Check out this sweet GPS rig. 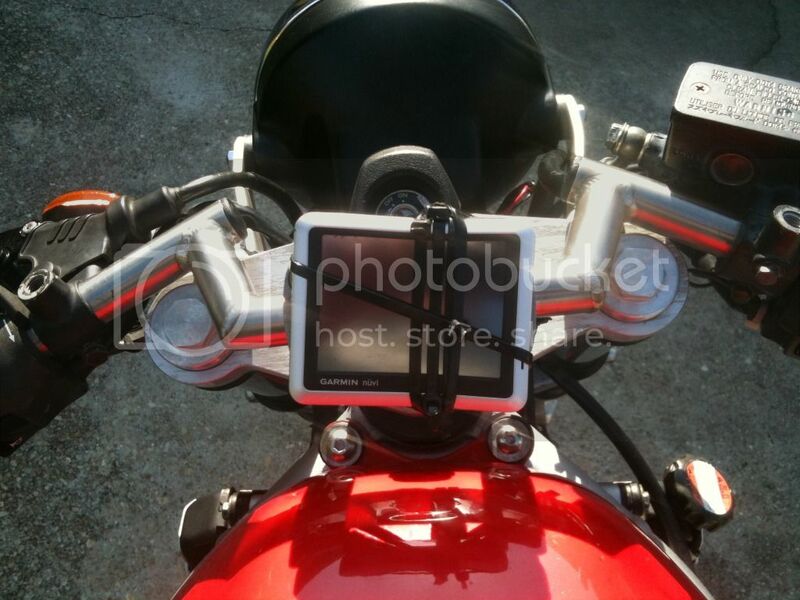 Installed the bar end mirror from Jared, and deleted the stockers. Looks MUCH better. The view of the rear is pretty good, maybe even better than stock. I had to stick my elbow out to see anything with the stockers, now I can see pretty clearly behind me. Took a bit of pigging out other mirror parts and switching hardware to make the mirror work. Had to use a rubber expander and cover it in just the right amount of electrical tape to squeeze it in there and get the rubber to expand inside the bar. It's a little vibe-y while at speed, though. I probably need to go to the hardware store and get a longer screw to fit to another rubber expander in there. Maybe some BB's in the bars. Need to test some more. The jury is still out for the Suburban machinery bars. They look pretty good and give great feedback, but to ride comfortably upright and keep a light touch on the bars while riding results in squished testicles. I may try to flip them for a little more height. No surprise it's not comfortable, you have low bars and low pegs. You need some higher and/or further back pegs. Depending on if you want or can budget for rearsets, consider an adapter plate, or actually the pegs from an SV600S may be enough to sort it out for you. If you flip the bars they'll have an elevation rather than drop angle, I think? I did that as a bodge to make my old T595 rideable, but it isn't comfortable and puts an odd strain on your wrists. I go home and make myself a sandwich. 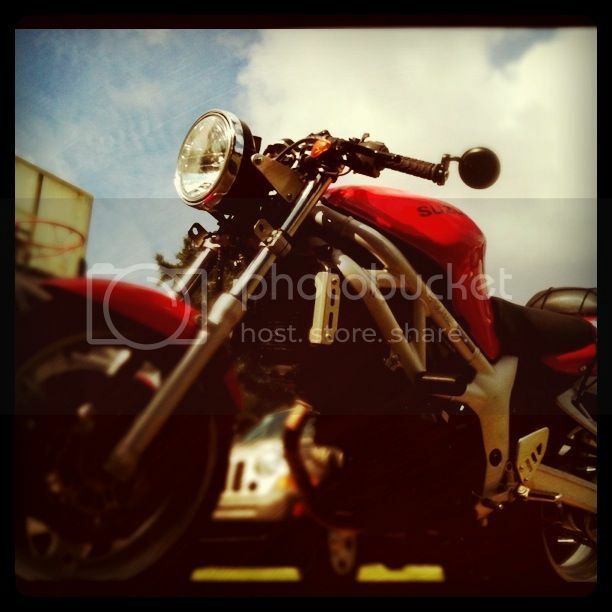 if at least one motorcycle wasnt irreparably harmed in the creation of the bike, its not a streetfighter! Subscribed... Got to love twins.. 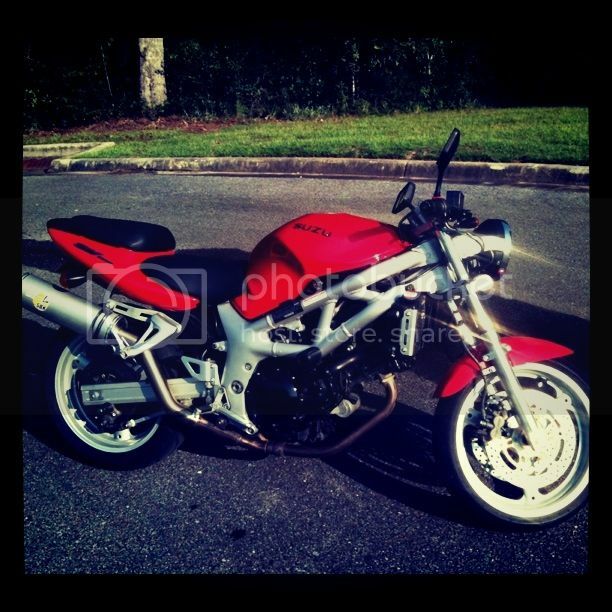 Thank you for viewing aL's SV650 Build in the Member Project Bikes section of our streetfighter motorcycle forum. I hope you found it useful!